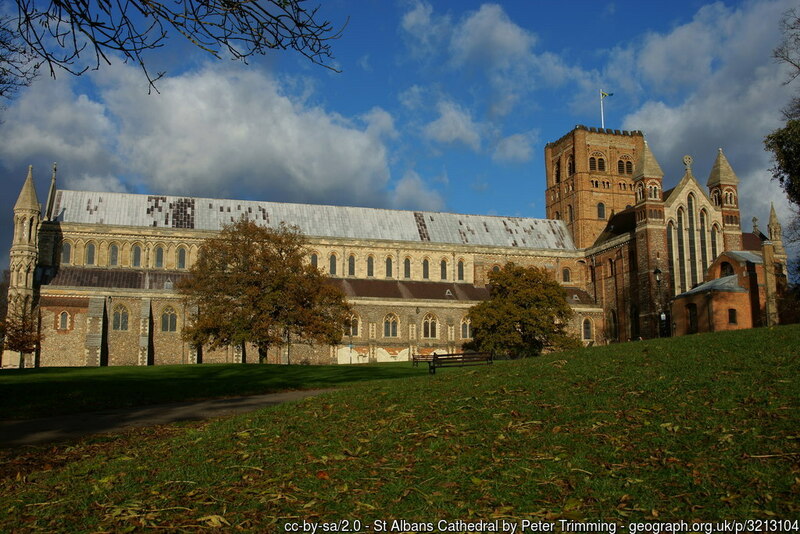 St Albans has fascinating history from the Iron Age onward. 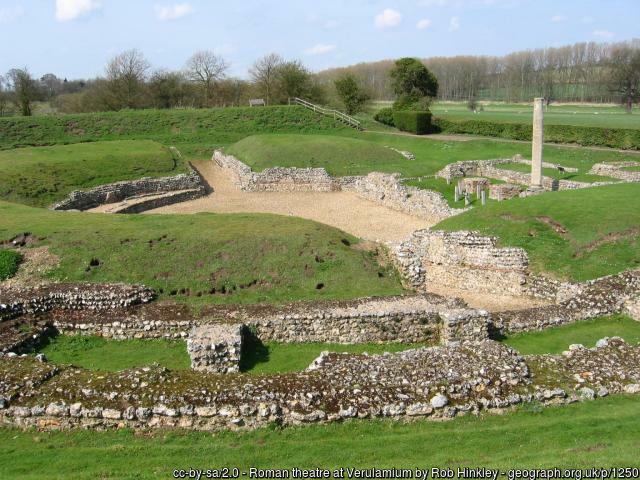 In Roman times, the town was one of the largest towns in Roman Britain until Budicca destroyed it. Notable former residents of the town include Samuel Ryder (1858-1936). They named the Ryder Cup after him. He ran his gardening business from St Albans, selling his packets of seed by post. The excellent transport connections made the town an ideal base for a business. 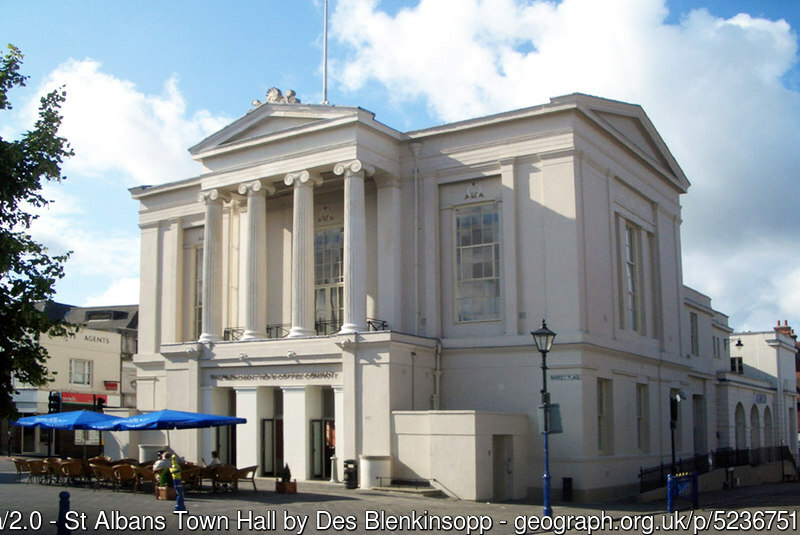 Sir Francis Bacon, Viscount St Albans, was Lord Chancellor in the reign of James I having been out of favour with Elizabeth I.
Pictured below in the old Town Hall is St Albans Museum and Gallery. 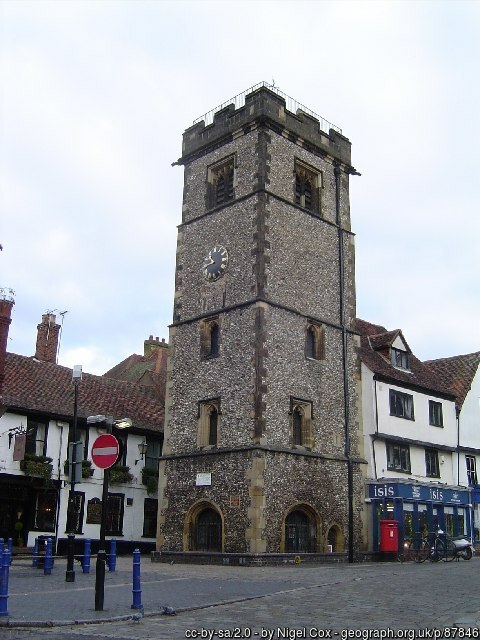 The Clock Tower, a scheduled monument, is the oldest town belfry in England. The bell is very old too! The town’s people built the tower in the early C15th but no one really knows what for. Today, the tower is open and offers wonderful views. The medieval Tower is not accessible for wheelchairs or buggies as there are 93 narrow, steep steps to the top. St Albans Museum and Gallery, a centre for arts and culture, opened in June 2018. The modern, state-of-the-art gallery spaces display over 2,000 years of local and national heritage and contemporary artwork. There is an ever-changing programme of exhibitions and events, and for coaches there’s a drop off point right outside. The Museum and Gallery is wheelchair accessible but the ancient cells below are not. Verulamium is the Museum of everyday life in Roman Britain. The museum has ancient artefacts and some of the finest mosaics outside the Mediterranean. The museum is wheelchair accessible. St Albans has a unique collection of 40 war memorials dating from the 1920s. They commemorate the 110 local men who dies in WW1. Alice Goodman recorded story of the memorials in her book The Street Memorials Of the St Albans Abbey Parish. The local architectural and archaeological society has updated the book which is available from the society for £8. 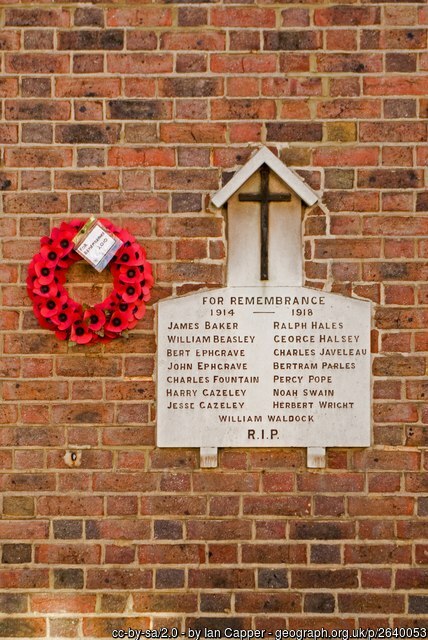 Below is the Sopwell Lane memorial. The Society also has a leaflet available to download. 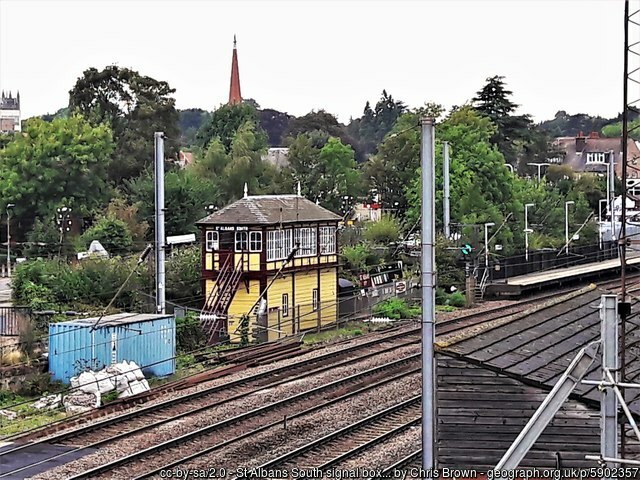 The Signal Box Museum occupies a preserved signal box next to a working railway line. It is the largest preserved signal box. Visitors can view and try out the original levers for themselves. The Old Station dates from October 1865 and closed to passengers in October 1951, and to all traffic in 1964. The building is now offices and the railbed is a cycle a footpath.